THE HAGUE - Kingdom Affairs will be once again the responsibility of an Undersecretary in The Hague. The Member of Parliament for CDA party, Raymond Knops has been appointed as the Undersecretary at the Ministry of Interior responsible for Kingdom Affairs. 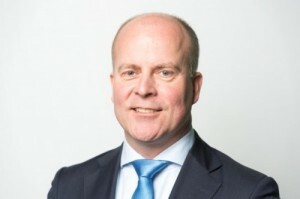 He takes over from his predecessor Ronald Plasterk. The 46-year old Knops is well-known in the Caribbean parts of the Kingdom. He also has knowledge about the islands. He has been in the Dutch Parliament since 2005 and is the spokesman for the CDA in the Standing Committees of Defense and Foreign Affairs. The last Undersecretary of Kingdom Affairs was Ank Bijleveld, after which the post came directly under the responsibility of a minister.